Implementation of collaborative practice-based research programs between chiropractic college research faculty members and practice management software designed particularly for chiropractors. Projects will answer questions most relevant to the chiropractic profession. With practitioner buy-in, we will capture more than just diagnosis and procedures performed, conducting studies of relevance to the advancement of the profession. Creation of a technique lab of the future will provide an entirely new and state-of-the-art methodology for the technique faculty to utilize as a part of student learning. Students can assess the force profile of the adjustment and understand the ergonomics of the adjustment. Research projects can be built around the system to help modernize technique instruction at LIFE University and demonstrate the effectiveness of electronic feedback for enhancing the motor skills required for safe, effective adjustments. Currently in the works is development of an adjusting mannequin to use in the technique classroom of the future. The goal is to develop a mannequin that would have the look, feel, size and weight of an average person. Chiropractic students training to work in a profession that stresses the importance of optimal ergonomics face the same problem as students everywhere with poor spinal support from backpacks. Two Life University, D.C. students have identified a couple of backpack designs worthy of systematic investigation via motion capture technology and an instrumented treadmill. A chiropractic adjustment is a physically demanding skill. Improper adjusting technique has been linked to injury in chiropractic practitioners. Because instruction can be subjective, Life University, D.C. students investigate motion capture as an objective assessment of postures and movement patterns during an adjustment in this pilot study. The difference in memory from one person to another provides an opportunity for potential intervention. This pilot study shows evaluation of the impact that chiropractic adjustments have on memory and reaction time through initial assessment and testing in a healthy population. Research exploring aspects of chiropractic care and longevity. This initiative has two primary goals: to study the attitudes of chiropractic patients toward health and longevity, and to study the long term benefits of chiropractic care as assessed through evaluation of patient well-being. To participate please visit https://form.jotform.us/70864058754162. 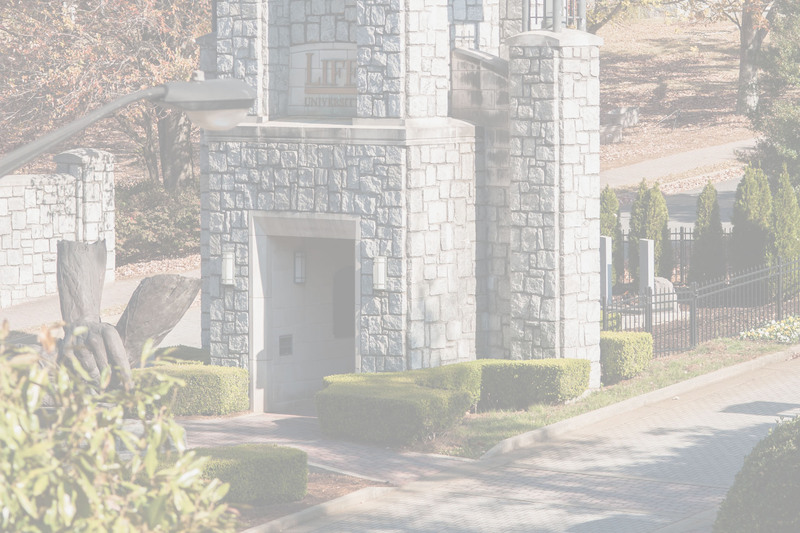 Life University and Lynne McTaggart, author of The Intention Experiment, are partnering on a research study designed to examine how the act of sending healing intention influences brain function. Participants are trained and participate in a healing intention circle, and one volunteer for each group would have their brain waves monitored using non-invasive electroencephalography (EEG). The EEG monitors changes in different areas of the brain at different times during the intention session. Study to assess the force profiles of high-velocity low-amplitude (HVLA) thrusts delivered by Life University, D.C. students to a mannequin on a chiropractic table containing a force platform. Study examines the impact of GyroStim Balance therapy on brain activation patterns and reaction time. The study will utilize a neutral stimulation protocol with a laser therapy targeting exercise (Performa). Participants will undergo assessment of balance utilizing the Bertec balance plate, simple reaction time testing on the Superlab computer, and quantitative electroencephalography (qEEG) with the Cadwell qEEG unit before and after GyroStim Performa therapy. Much is said about theorized changes in brain activity from chiropractic adjustments. However, there is very little in the way of actual neuroimaging that has been done to show this. The objective of this study is to show what changes actually are occurring in the brain after the adjustment, both immediately and then one week later.